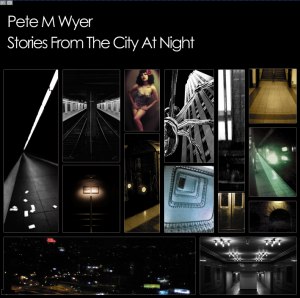 Stories From The City At Night was released by Thirsty Ear Records on October 21st 2008. “A record is judged a success when it creates its own context, which it upholds with content. If the content stretches only to the parameters of context and not beyond, there is a sense of limitation to the album. But in Stories From The City At Night, the mixture of music, prose and sound transforms the album into a sieve for imagination, catalyzed by the meaning behind the very first story (“Rain At Night”). The melancholy (“Somebody”); texture and pace (“Dina’s All Night Diner”); dark tonality (“East of Manhattan”); ethnic character of alternating male and female voices poeticizing the stories; and completely unanticipated, yet appropriate employment of sound effects (“Night Ride by Subway Car”) facilitate the rapt attention necessary for rendering the listening experience both coherent and intriguing. This record takes us somewhere culturally, like the train that moves throughout the city. Folk (“Here I Am”), avant-garde and jazz (“Dina’s All Night Diner,” “Pier 45, Part 1”), electronic, minimal, improvisation (“Night Ride by SubWay Car,” “Pier 45, Part 1”), even German operetta (“Nobody”). Each musical cell represents a distinctive fictional picture. The recurrence of the guitar chords (“Pier 45, Part 1”) and the prevailing winsomeness derived from the string quartet (“Pray for Me”) recalls the solitude of the present journey. Amidst sloshing of water, the sound allusion to penumbra and streetlamps creates an image of strange and mysterious pathways to follow. The tender explosion of guitars, electronics and drums that swoop into a chorale of female voices (“Pray for Me”) and the sonic revival of rain lead to an inevitable conclusion: the end of night. The whir of the helicopter blades takes us out of the city. Now, perhaps, it is time for our own night of sleep and dreams. Track listing: Rain At Night; Somebody; Dina’s AllNight Diner; East of Manhattan; Here I Am; Night Ride By Subway Car; Nobody; Pier 45 (Pt.1); Pray For Me; Imprint. 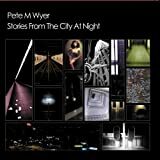 “Pete Wyer, storyteller, composer and master of the spoken word, brings you through a journey showing the sights, sounds and moods of New York City. Employing an assembly of talented voices and a score of music that is at once introspective and far reaching. He has devised an audio tour through the city, as seen and experienced by it’s characters and complimented with a soundtrack evocative of city life.